The first step in creating a cleaner beauty regimen is usually the easiest. We read the science behind the ingredients and the effects those ingredients are having on our health– the reproductive repercussions, cancer causing chemicals and more– and we know in our minds that we would prefer to avoid those ingredients if at all possible. The next step, though, is the hardest: What do you replace your tried and true favorites with?! Some of the products that I found in my makeup drawer when I began switching all of my products to clean ones were things I had been using since high school! We were in such a serious relationship with each other and it took months and months and dozens of product samples to replace them, one by one, slowly but surely. But now? I really don’t miss them and can report that both my skincare and makeup drawers are as toxic free as I know how to be. One of my favorite switches has actually been to clean beauty deodorant. Once you go natural, you will never go back! The natural fragrances are such much better than the synthetic ones and even the consistencies are nicer. 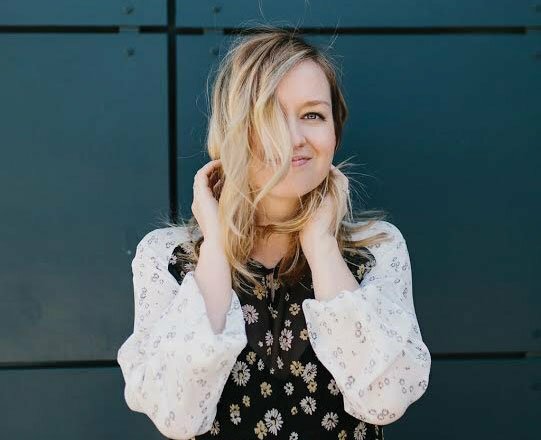 The clean beauty deodorants category is one where there have been only upsides to swapping out the old conventional chemical filled product with these fresh and clean alternatives. Type A: This deodorant got the real test on day one– my first Solid Core class– and passed with flying colors! I was odor free and their was no residue on my workout tank. 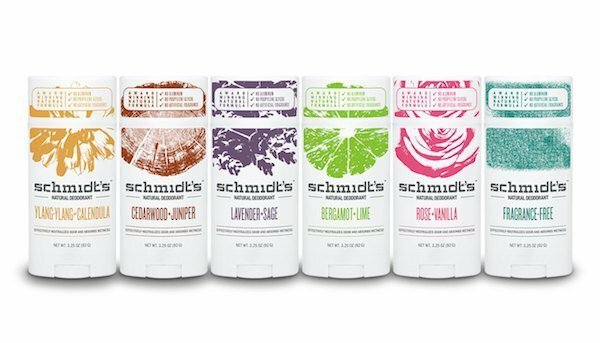 Schmidt’s: My friend Lauren swears by this one and says it even works for her husband! Bonus points for being affordable and available at Target! 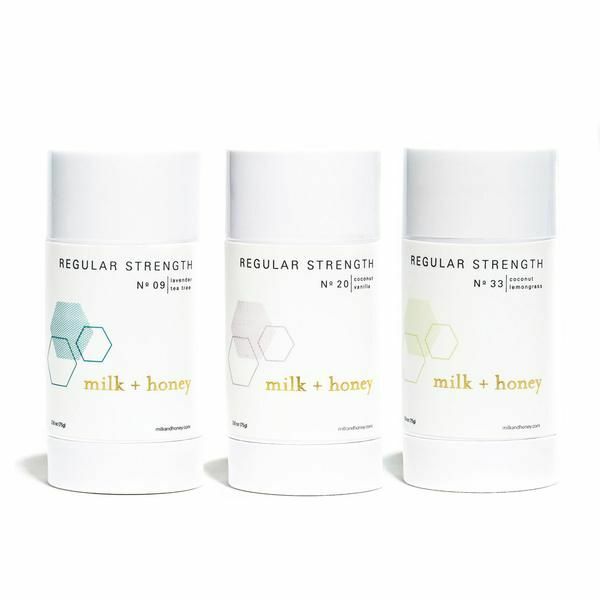 Milk & Honey: I stumbled upon this clean beauty deodorant, gratefully, in the bathroom of my barre class at 7:15am having realized I forgot to put any on and it seemed to do the job just fine that morning! I love that it’s local here to Austin, too. Vapour Next Level Deodorant: This one is the very first clean beauty deodorant I tried and perhaps the best smelling too! They use a combination of essential oils that just create the best scent. That said I think the price point is a little prohibitive but it does last a long time and is definitely worth checking out if you’re on the hunt. 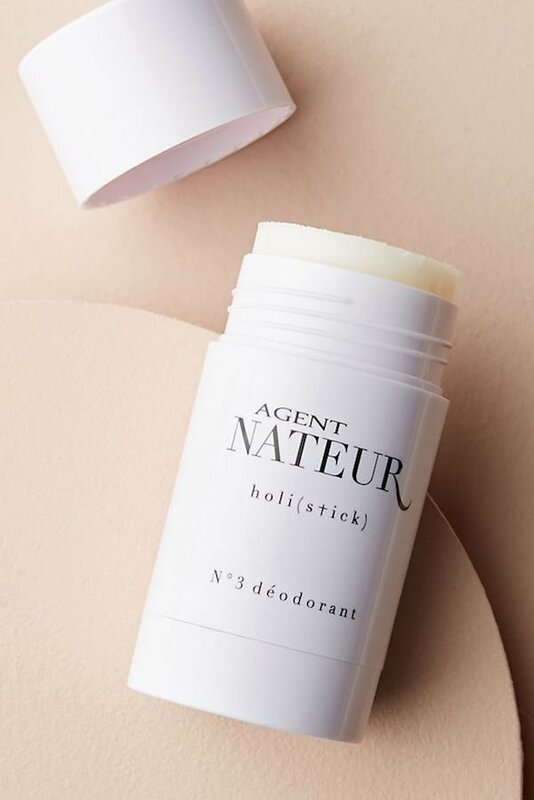 Agent Nateur Holi(Stick) No. 3: Made with food grade ingredients and a combination of lavender and eucalyptus, this one is equal parts natural fragrance and deodorant. Have you tried clean beauty deodorants? I would love to know your experience? I love Schmidt’s but the baking soda in it does irritate my skin. I also love Native and have been using that for awhile. I will need to check out these other brands. I agree! Deodorant has been the hardest for me. Excited to check these out! Someone recently mentioned Type A to me and now i’m super curious to try it! Do it! You won’t be disappointed! I’m loving these posts! Please keep doing them! We will! And so glad you’re loving them! I need to try some of these beauty deodorants. my pleasure! let us know what you would like to see rounded up next in terms of clean beauty! I love Vapour’s palo santo deodorant! Lately, it seems like every blogger is recommending Kopari, but I tried theirs and I found it to be sticky and had to reapply throughout the day. I hadn’t heard of Type A or Milk and Honey’s, but put them on my list to try next! I hadn’t even heard of Kopari! I love Vapour, too. A little pricey, though! I never thought I would ever say this … but i’ve been making my own! I’ve also noticed as I went through a similar testing process, that just moisturizing my underarms was enough (I use sesame oil with essential oils). I swear that overtime I just don’t even feel the need to use deodorant. Obvi easier in the wintertime.